The Electronic Kitchen Scale is a highly accurate food scale that easily measures ingredients directly on its tempered glass platform, in a bowl or on a plate. 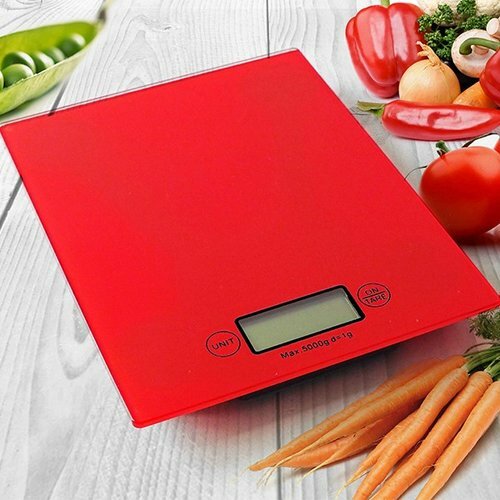 The scale's innovative touch sensitive buttons are very easy to operate. The scale measures in 0.1-ounce (imperial) and 1-gram (metric) increments for accuracy up to an 11 lb. (5000g) capacity. 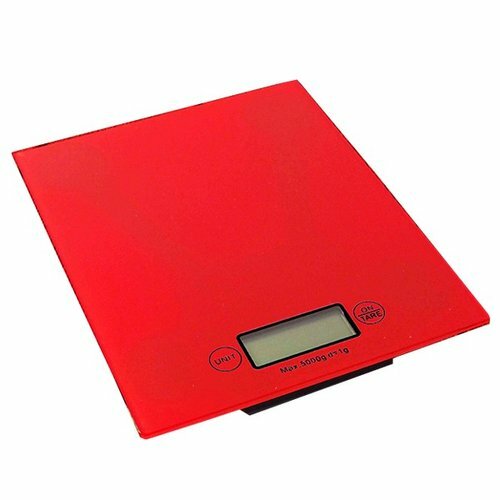 The scale features a tare or offset function for weighing multiple ingredients. The elegant red glass platform is easy-to-clean and durable.